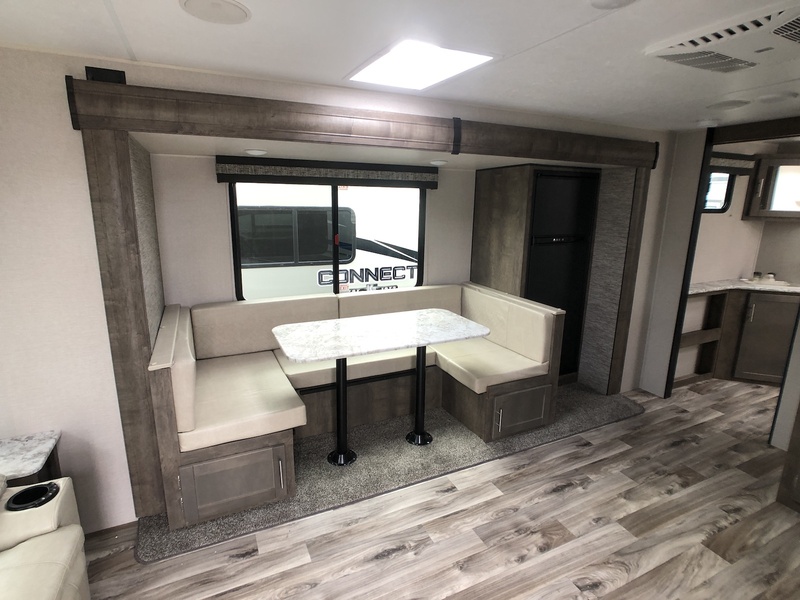 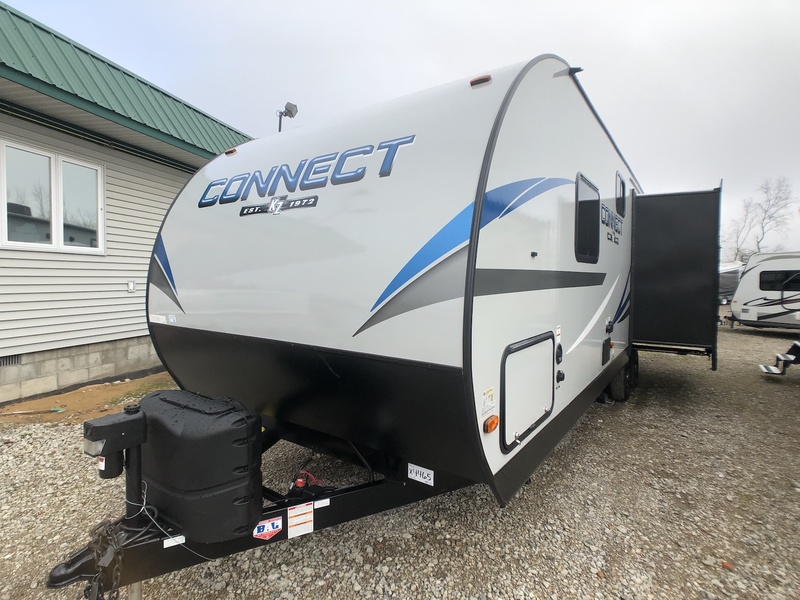 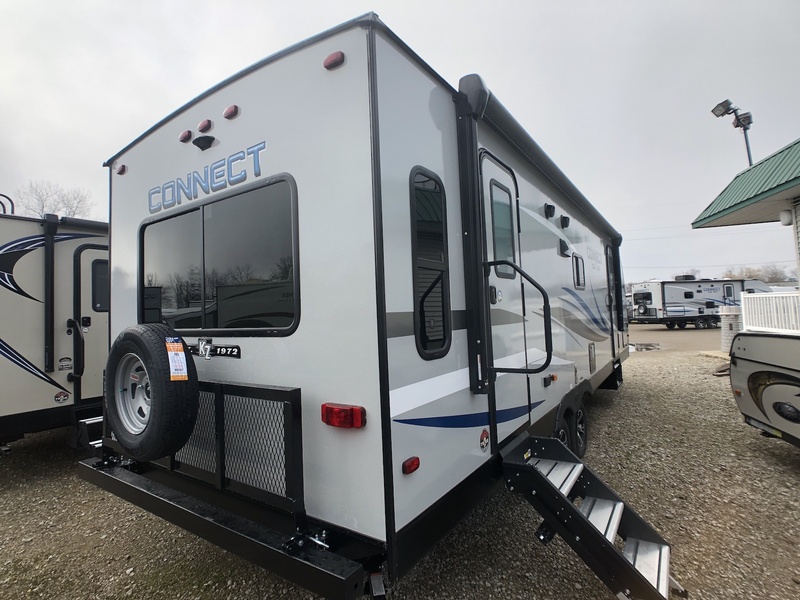 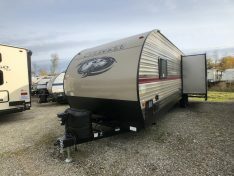 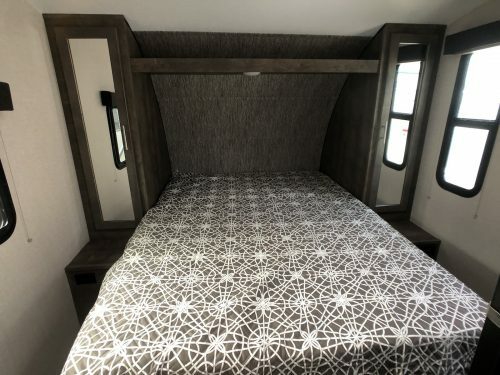 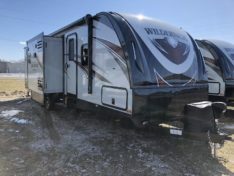 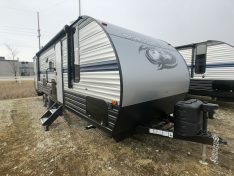 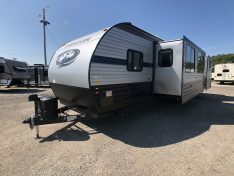 The Spree Connect 261RL by KZ has one slide out, Double door, rear living center bathroom travel trailer. 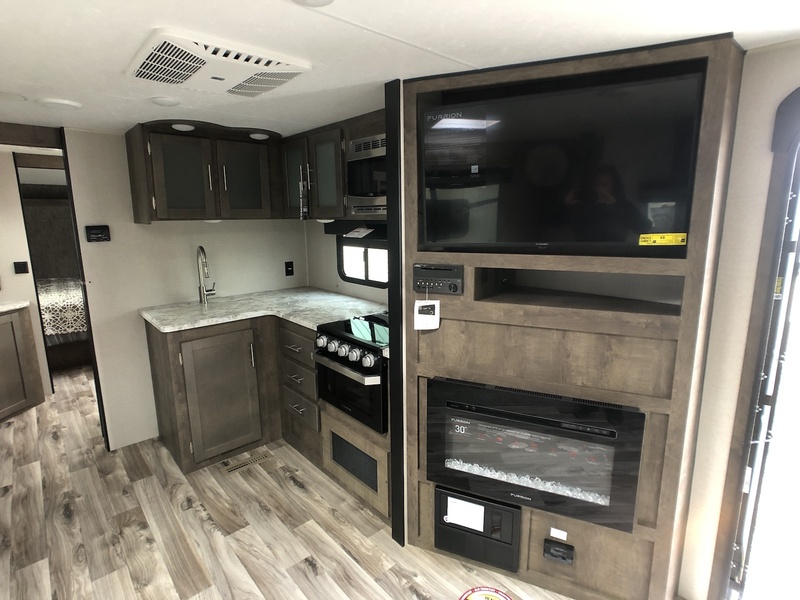 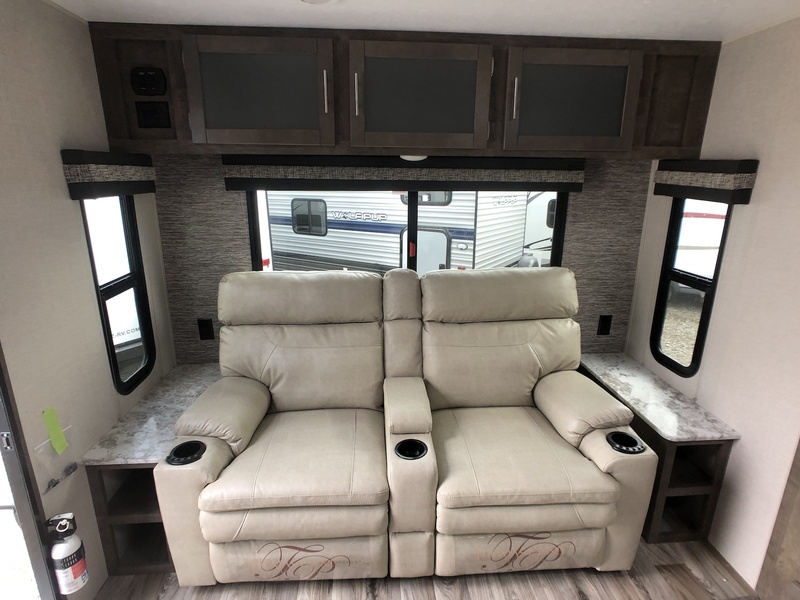 The main entrance in the 261Rl is located in the rear of the coach when you enter you will see cozy theater seats along the back wall, the main slideout with a u-dinette and refrigerator. Across from the slideout is an l-shape kitchen along with the treatment center and pantry. In the center of this Spree, Connect sits the large bathroom with a residential shower, foot flush toilet and lots of counter space. 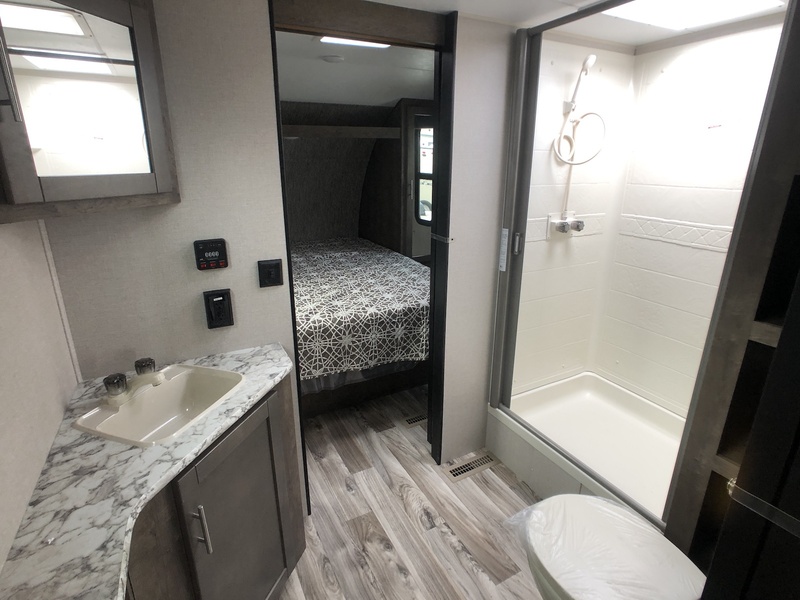 Throw the bathroom is the master bedroom with a 60×80 queen bed with storage on each side and a secondary entry door.